The TM-P80 offers up to 33 hours* of operational battery life, which ensures uninterrupted service to your customers. Integrating seamlessly with a wide variety of platforms such as iOS, Android™, and Windows operating systems over Wi-Fi or Bluetooth technology, you can count on the TM-P80 to deliver an impeccable quality service experiences. *33 hours battery life on Bluetooth models and 25 hours on Wi-Fi models. Lightweight and compact, the TM-P80 delivers all the features you need to print anywhere, anytime. It offers the fastest printing in its class with speeds up to 100mm/second, flexible connectivity, a ruggedised design with a 4 foot drop rating and easily fits in the palm of your hand. Unrivalled operational battery life, which lasts up to 33 hours*, provides you with lasting productivity on-the-go. 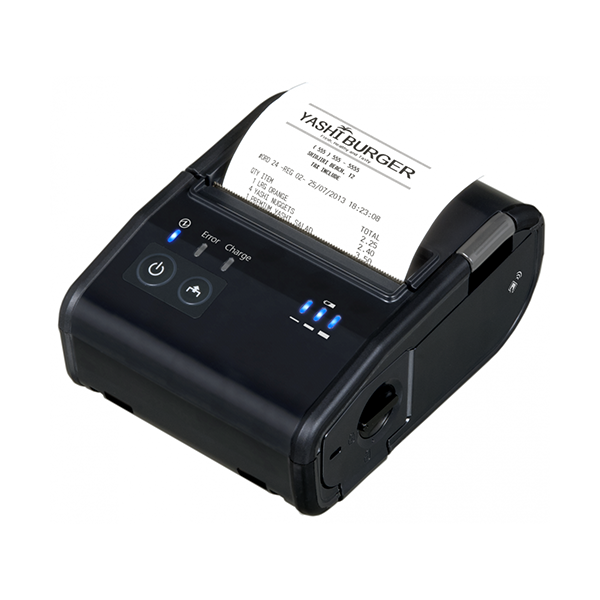 With Epson’s unique ePOS-Print technology, the TM-P80 can print from any devices running an iOS, Android or Windows operating system with a Wi-Fi or Bluetooth connection, using a web browser or native application. 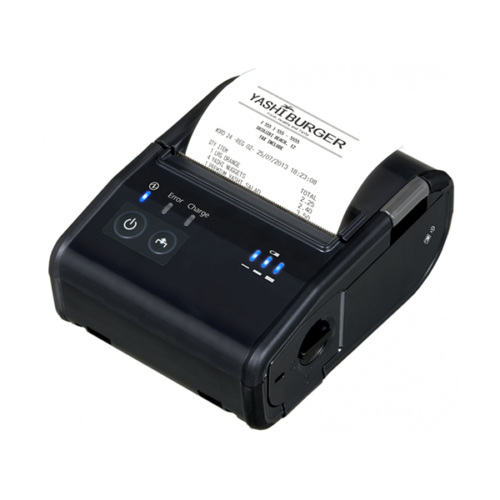 This provides an easy and smart solution for today’s mobile printing requirements. The TM-P80 is compatible with all of today’s best-of-breed POS systems and the latest industry-standard wireless security protocols. 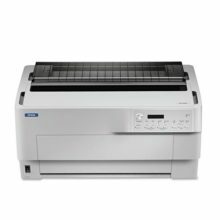 The printer supports 802.11a/b/g/n with 2.4GHz/5GHz compatibility or Bluetooth® 3.0 (EDR Supported). It also comes complete with ESC/POS®, OPOS, JavaPOS and Windows® drivers which means your current POS software and applications are instantly compatible.